“Smash!” are chocolate covered cone-shaped corn snacks which also go well on top of cakes. They are like bugles covered in milk and Nidar’s chocolate. Smash is a very common snack in Norway as well as very delicious. The chocolate tastes is great. Its salty and sweet taste makes saliva drop down your mouth. Smash is only available in one flavor but packaged in different sizes. Just the distinctive compounding of salty, sweet and crisp makes it one of the best European snacks you can find in the world. This is not biscuit as the name implies. 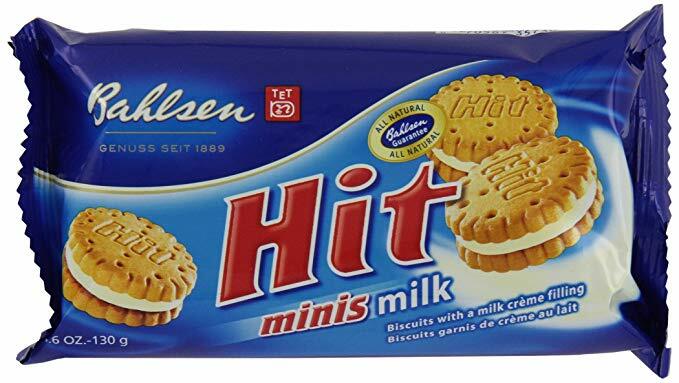 Hit Biscuits are cookies filled with a crisp creamy chocolate filling more like Oreo. 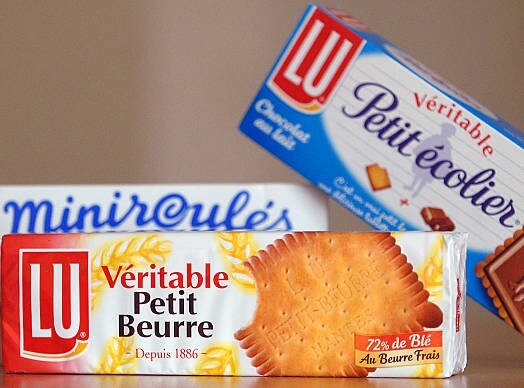 The cookie is a decidedly European snack, simple but very delightful. 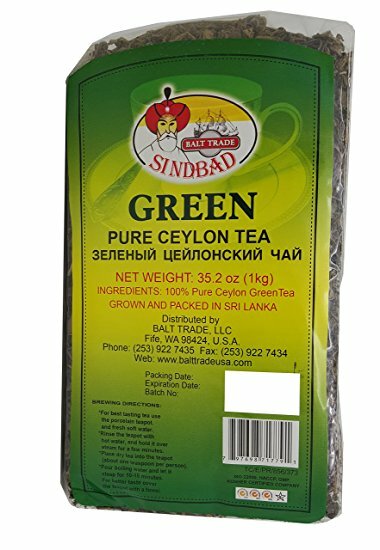 It’s a perfect snack which can be a great match to the cup of coffee or tea. These cookies include a silky milk chocolate with a nice cookie base. 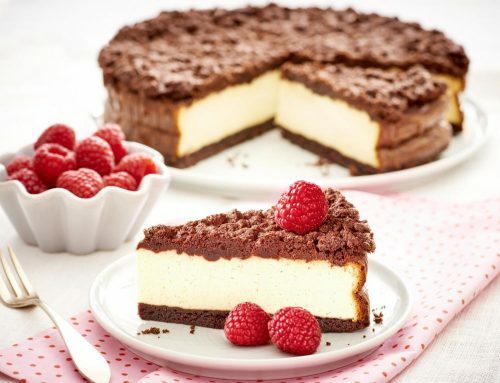 It is very tasty and good for adults as well as children, though with a chocolate schoolboy on top of each one. It is a classic snack with no preservatives or artificial colors added to it. These cookies are a must have in the house as they will always be there to quench the grumbling tummies especially of the small ones. 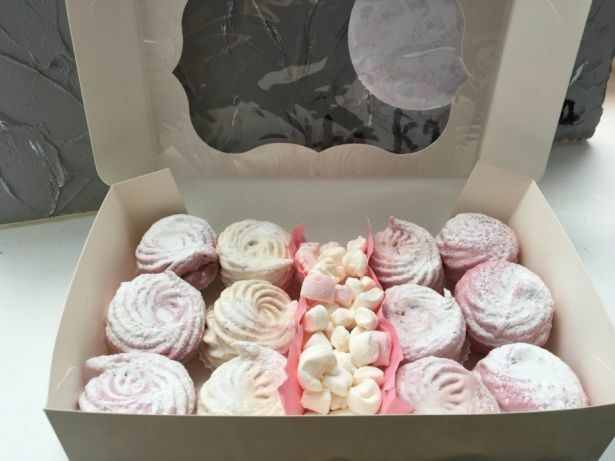 This biscuit has been transformed into a very delicious spread perfect for bread as well as perfect for making the taste of cakes and cupcakes out of this world. 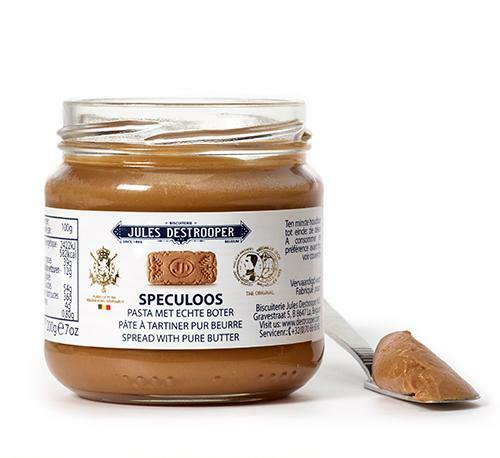 Jules Destrooper Speculoos Spread is made with authentic Jules Destrooper Speculoos thin, crunchy and caramelized cookie and some butter. 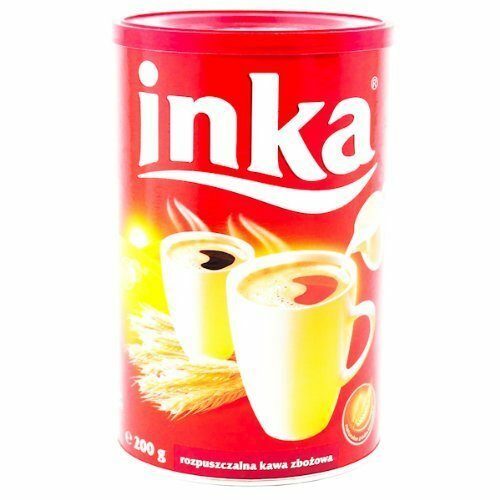 It is a very delicious paste with a creamy texture that ensures you an authentic taste of the cookies. 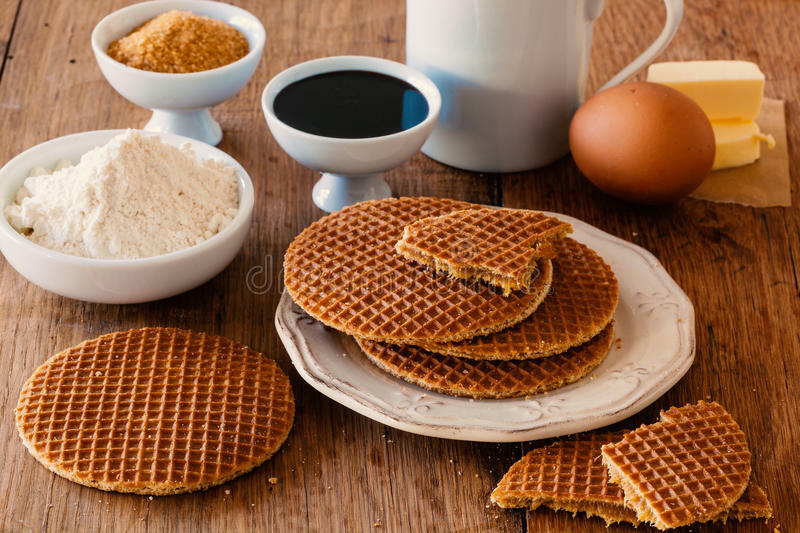 Stroopwafels were invented in the city of Gouda in Holland in the 1800s, a city where about a hundred bakers were the only sellers. If you are looking for some right now, you can get them everywhere in the Netherlands. This cookie comprises of two thin layers of dough pressed into a waffle iron and the middle is willed with a caramel-like syrup. 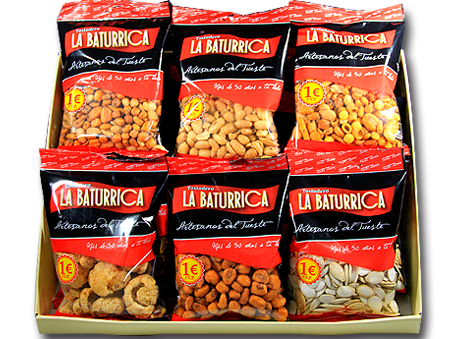 Since the early 960s, the Spanish company Tostadero La Baturric has been making roasted fava beans into the salty crunchy snacks known as habas fritas. 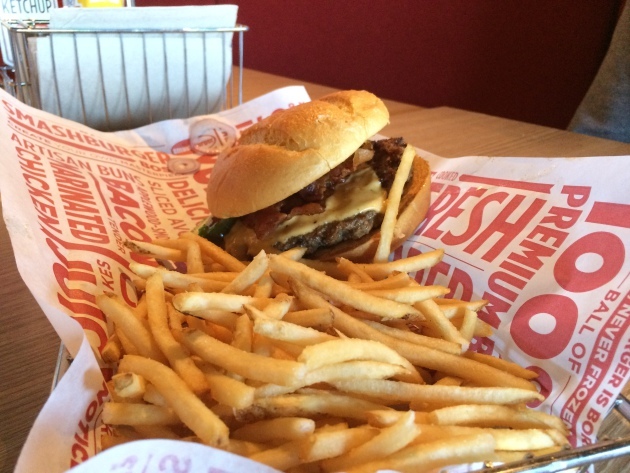 This snack is lightly fried and salted. Habas fritas is a great decision when downed with a bottle of beer. The Knopper is a filled wafer slice with some milk cream filling and nougat crème filling. The smell is quite enticing: it’s a mix of a milky and nutty aroma. 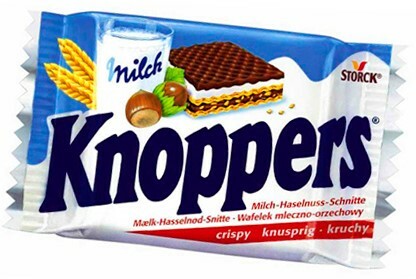 Knoppers is crisps with a gentle cereal flavour. Its hazelnut flavour just invites you for more bites. The Italian Balconi is indeed sweet and a mix snack cakes. They are covered with chocolate. Note that they are not quite rich in nutritional value but they are quite yummy and will surely make a nice lunch snack. Bamba snacks are slightly sweet, slightly salty peanut butter corn puff from the food label Osem. 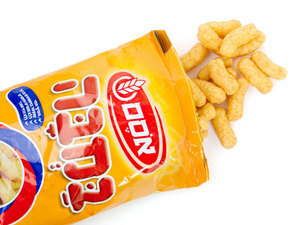 Bamba snacks are made from hazelnuts, nougat, strawberry, and halvah fillings. When combined with Nutella, the taste is out of the world. 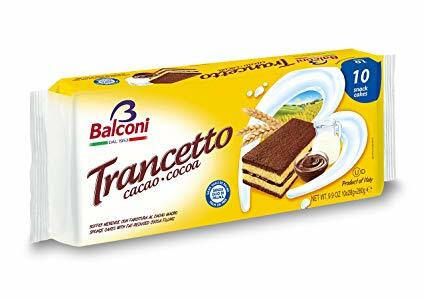 This is one of the best European snacks. 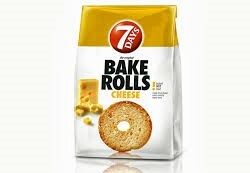 7Days Bake Rolls are bread chips that are double baked. They are super crunchy, thinly sliced, seasoned with herbs and spices, and super tasty. 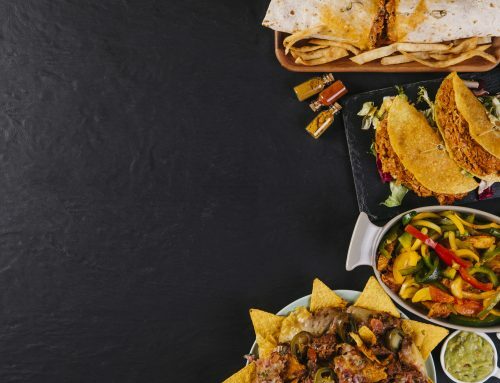 If you love savoury food then this should be a go for you. Zefir is very similar to marshmallow, very delicate and tender in texture. This delicious Ukrainian dessert is made by whipping fruit and berry purée with sugar and egg whites, subsequently adding gelling agent like agar. It is usually white or rose in colour. There are also chocolate coloured versions of zefir. They are also yummy to taste. When it comes to the Russian mini bagels, they are not like the ones you are thinking of. Soft? No. 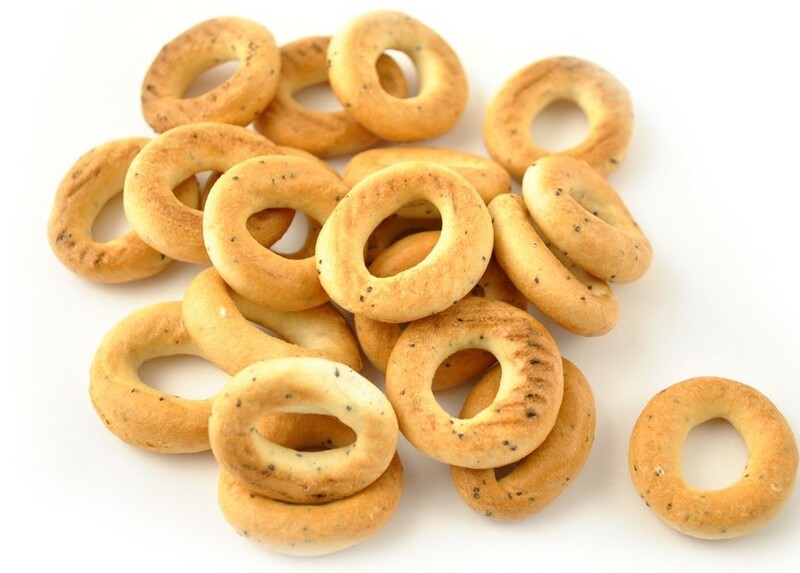 They are small, crunchy, sweet mildly bread rings mostly eaten as deserts with tea. Kinder chocolate is a Ferrero product. It was developed by Kinder in Frankfurt, Germany in the late 1960s. 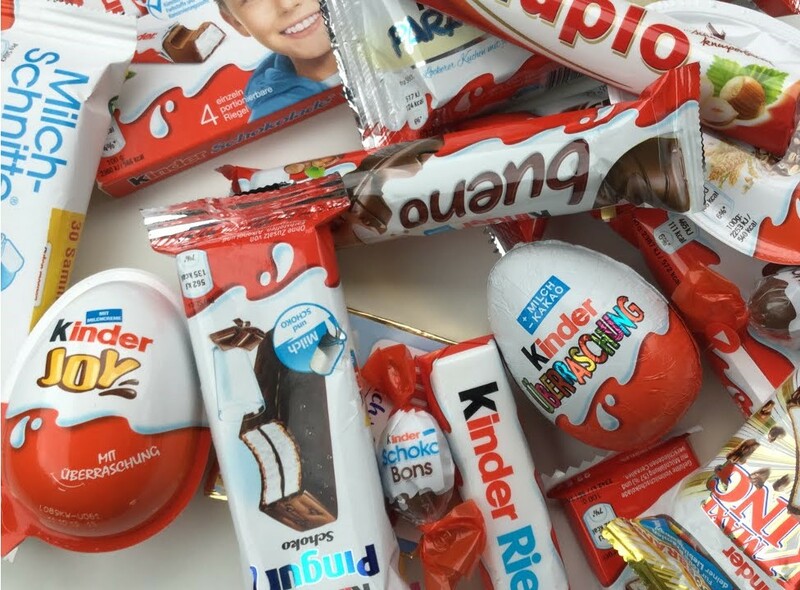 The name “kinder” means “children in Germany”. After a year of production, they sold the company in Italy before they reached countries along the Mediterranean Sea. 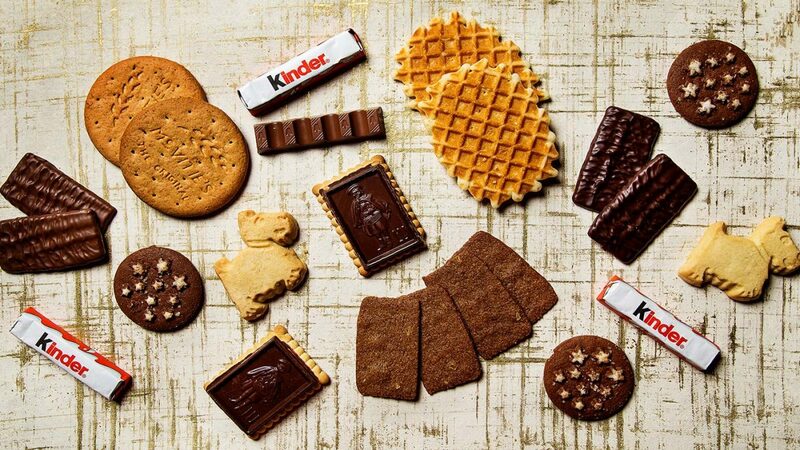 Kinder chocolate has several products which are all delicious. crunchy when you cut through that hazelnut. This chocolate was made for adults. Kinder Surprise. The kinder joy is very popular among children as is a hollow milk chocolate egg hell that contains a small toy inside the capsule. Kinder Chocolate. It is a fine milk chocolate with a milky filling. Kinder Joy. It is the most popular among children. Kinder Joy is similar to Kinder Surprise. 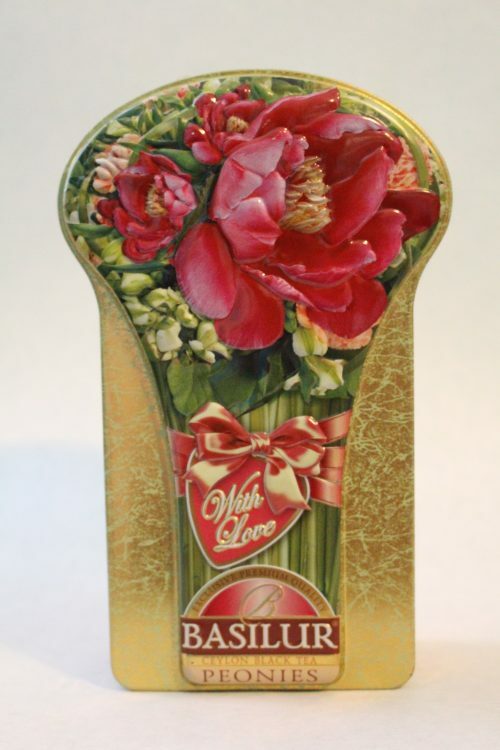 It has a plastic egg shell packaging as well and the inside is divided into two halves with one containing two small chocolate layers, one with chocolate and the other one a milk-chocolate flavoured with an included small spoon. Be sure that this one will always satisfy children with its unique kinder chocolate taste. 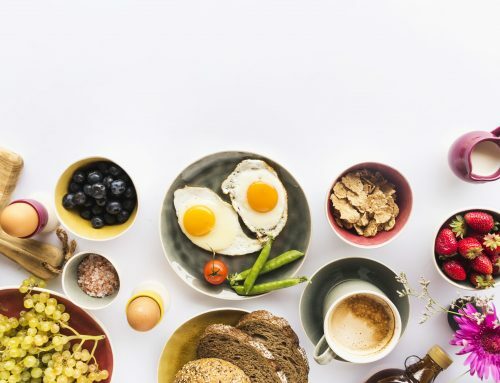 So, you have read about the 14 best European snack foods. 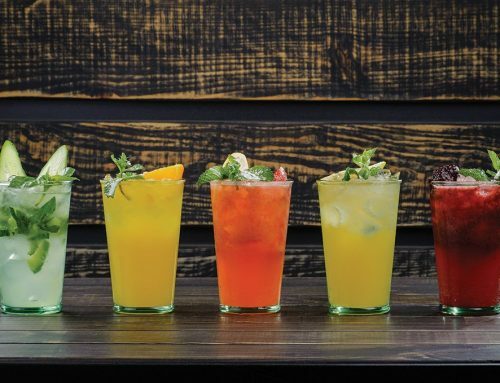 Each of them, as you can see, has its unique taste and favour. 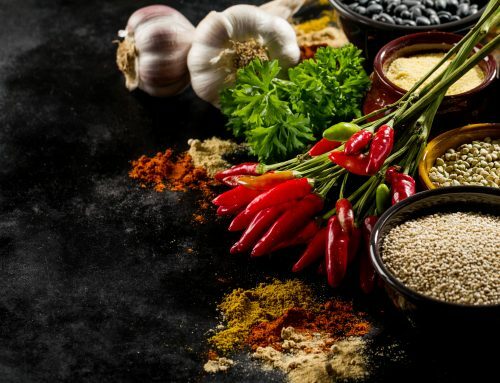 Thus, if you have a chance to visit at least one of the above mentioned countries, not waste chance to try its delicious snacks that are well-known all over the globe.